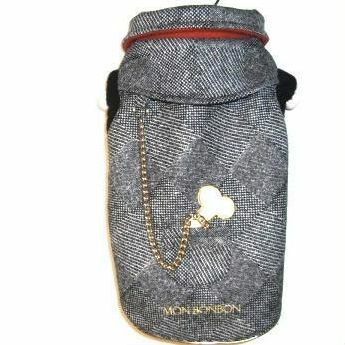 Luxurious coat made in Italy by Mon Bonbon. Grey check pattern and red lining. Made of 30% cashmere and 70% wool. The cloth is produced by the world’s famous CARNET. 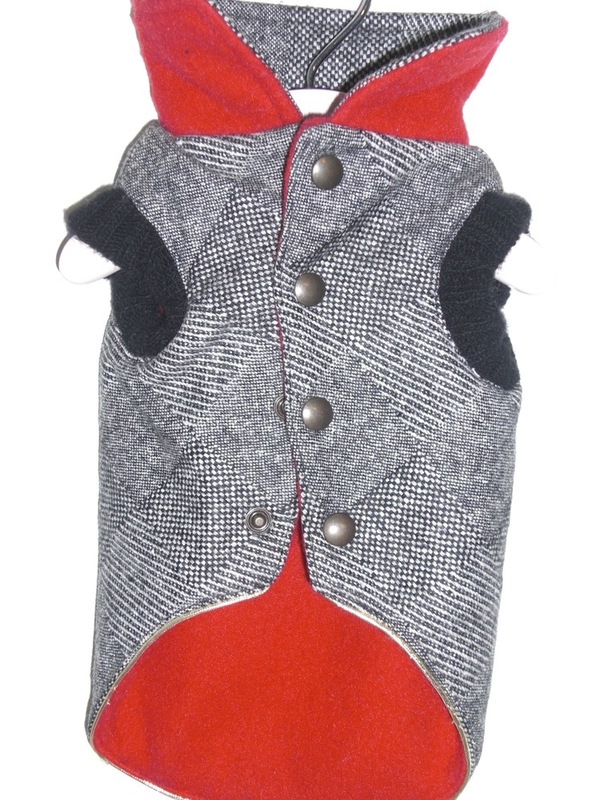 Red soft pile lining to keep your dog warm and comfortable. 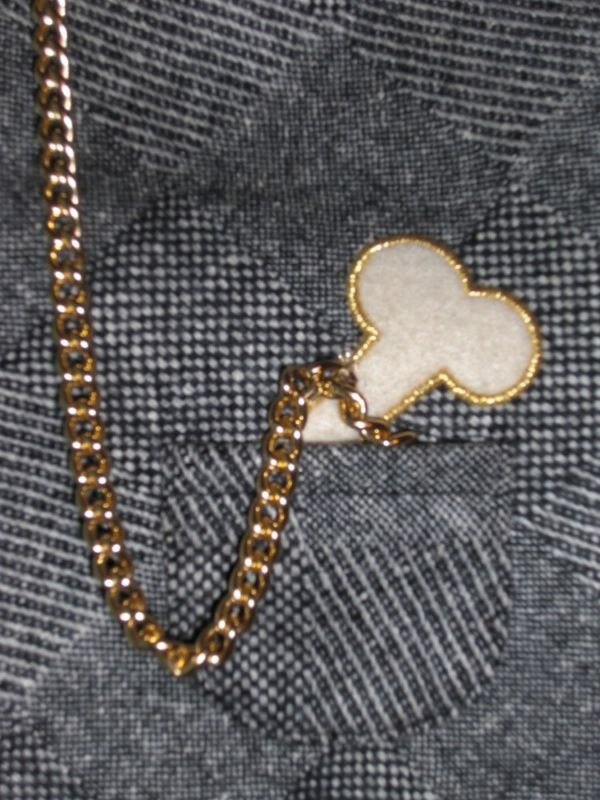 A small pocket with chain and appliqué bone on the back. Snap buttons to close underneath.